I have a number of diagnosis’, and in June of 2016 I was finally diagnosed with EDS (Ehlers-Danlos Syndrome) type three (now hypermobile EDS). EDS, along with another neurological condition, has wreaked havoc in my body. In January of 2015 I began to no longer tolerate food or water – and so now have a feeding tube directly in to my bowel. I have gastroparesis – but tests show that not only is my stomach paralysed, but my whole gastrointestinal system. I also have POTS neurological deafness resulting in use of hearing aids, and many other conditions. In January 2015, I was in my dream position in life. I had passed all of my GCSE’s, smashed all of my target grades, and was in sixth form, beginning to think about applying for uni to do teacher training. My illness resulted in a sixth month stay in Manchester Childrens Hospital – a very far way away from the rural life I usually lead. This resulted in the inevitable – my friends moving up a school year to year 13, while I started over in year 12, once I was home from hospital. My whole life had changed, and I found it so difficult to relate to people my own age. My family always say that I may be 21, but I have the life experience of a 40-year-old. I felt so desperate – like my life had been destroyed and I was never going to be able to accomplish my dreams; and that is where I was completely wrong. Having always enjoyed writing, I took to the internet to try and find a club to join which would allow me to enjoy this hobby again. This is when I found Dove Cottage Young Poets, a group run by poet Kim Moore and funded by the Wordsworth Trust. I didn’t know anyone who went to the group, but decided I had nothing to lose. I had always wanted to be a writer. In Primary school I received the leavers certificate for the person “most likely to be a writer”. It was in high school that practicality took over – I decided to train to be a teacher – because writing was never going to pay the bills. Despite this, I ran the school creative writing club from year eight through eleven, and wrote many short stories. I still had the dream of being a writer in mind, although I was definitely listening to my head over my heart when it came to career prospects. The first year after coming out of hospital I felt I had nothing to lose. It took a few months of writing before I could allow myself to write about my illness and disability. I was so used to my conditions being the only thing people saw when they looked at me that I didn’t want my writing to be about that as well. However, I quickly learned how unaware the general population was regarding disability issues. I knew I had to start writing about that. First of all I started my blog, www.hannahwritesablog.co.uk . Where I started listing all of the medical and non-medical things that are going on within my life. 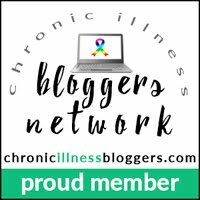 I started the blog because when I went out of the house, the only thing anyone wanted to talk about was my illness. The blog has become so much more than a place to refer nosey people, it became my online space to give my opinion on the world. I also started to send off my poetry to journals and magazines – and had a number of acceptances. This all gave me confidence, and also acceptance of my new body and experience of the world. Poetry has been so much more than a hobby for me. It has allowed me to explore where I now fit in within the world. It has given me the confidence to read in front of audiences and get away from the ‘rat race’. I don’t think you realise how restrictive school and work are until you are outside of that way of thinking. In many ways I am happier than I have ever been – and in other ways I am more depressed than ever, thinking of a life that could have been. Poetry has been a therapeutic and important thing for me, I feel privileged to have my first poetry pamphlet published and to have the opportunity to work alongside festivals, bloggers and to have made a whole host of writing community friends. I never thought poetry was something that I would grow to love. I think the intensive ‘unpicking’ of poems in school killed them for me – it was more about literary devices used and hidden meanings needed for essays, than an experience of being able to enjoy and love poetry. The poem below is taken from my first poetry pamphlet ‘Dear Body’. Which is available for sale on my blog (www.hannahwritesablog.co.uk/shop), which is sold through PayPal. because there is no lift. because there are no accessible pumpkins available. from the pea in her bed.